World No. 2 Novak Djokovic will continue his fantastic campaign in Paris on Tueday afternoon, where he will now meet Canadian No. 1 Milos Raonic for a spot in the semi-final. This is the third time these two competitors will cross paths on the professional tour, with Djokovic leading the head-to-head series 2-0. Their last meeting on the tour was quite recent, as they met in the semi-final round of the Rome Masters. The former world No. 1 produced some of his best tennis in his effort to dispatch Jo-Wilfried Tsonga in straight sets. The score ended in a comfortable 6-1, 6-4, 6-1 victory for the Serb, and improved his h2h against Tsonga to 12-5. While Novak only hit one ace in the entire encounter, he also hit an even 18-18 winners to unforced errors ratio, as well as 70% of his points on first serve. World No. 9 Milos Raonic is through to his first ever quarter-final of a major championships after he defeated Marcel Granollers 6-3, 6-3, 6-3 on Sunday. This marks the first time a Canadian has reached the final eight since the dawn of the Open Era. Raonic will be the first Canadian man to play a Grand Slam quarter-final since Mike Belkin at the 1968 Australia Open. This marks just the third time these two competitors will cross paths on the professional circuit, with their first meeting taking place in Davis Cup competition last season and their most recent one in the semi-final round of the Rome Masters. Djokovic and Raonic met in the fourth rubber in the Serbia vs Canada tie, which Djokovic won in straight sets. 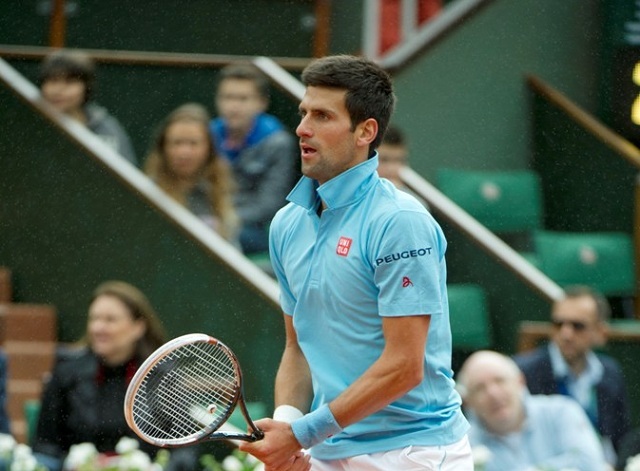 The second contest was a significantly tighter affair, as Djokovic needed three sets to secure entry into the final. If the Serb remains in form, he should manage another victory over his Canadian adversary – but it could certainly be a difficult one to achieve.